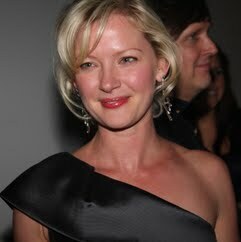 Gretchen Mol is an American actress and former model. She is known for her roles in the films Rounders, Celebrity, 3:10 to Yuma, The Thirteenth Floor, and The Notorious Bettie Page, where she played the title character. She also appeared as Gillian Darmody in HBO's Boardwalk Empire.